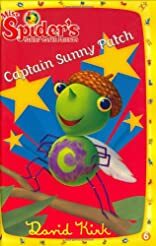 When Squirt makes a pair of makeshift wings out of feathers, he is accidentally transformed into Sunny Patch's first superhero! But can Squirt really save the day? Come along as Miss Spider teaches her buggy bunch that you don't need a costume to be a real hero.